Cross Section .40mm, Inside Diameter 0.8mm, Outside Diameter 1.6. Sold in packages of 3 pieces. 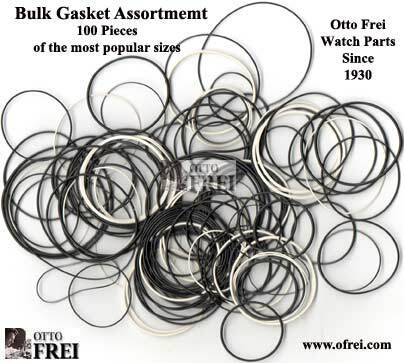 Mixed assortment of 100 of the most popular gaskets. 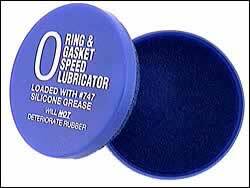 This is the best way to lubricant any type of gasket with a silicon lubricant. Loaded with enough silicon 747 grease to lubricant hundreds of gaskets. Simply place the gaskets inside and give a 1/2 turn of the lid, with very light pressure and you are done. When dry just add a little more silicone 747, which you can purchase below. Silicon 747 grease is a good, very high temperature lubricant and is available in a syringe. Use to extend the life of gaskets needed to insure water proofing of the case. The syringe can be useful for certain applications. A horological sealing compound for ensuring a perfect final sealing film between: 1) watch case backs and cases. 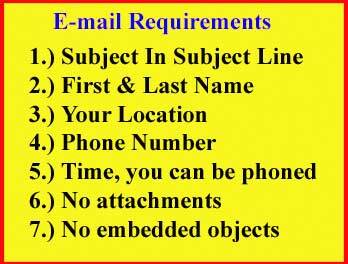 2) watch glasses and cases. The Magic Seal leaves a protective, rubbery seal. Guarantees perfect seal to prevent dust, humidity entering the watch. The item is inert, non-toxic, non-corrosive. Completely colorless, invisible after drying. Can be used on any type of case and glass. Rapid and easy application with built-in brush. Ideal for antique and vintage watches especially square or rectangular shapes. Economical, long lasting, shelf life many years if properly closed.